Gülen is considered one of Erdoğan’s most powerful allies but is reviled and feared by much of Turkey’s population. Born in either 1938 or 1941—publications distributed by his organization cite both dates—Gülen fled to the United States in 1999, as Turkish authorities were preparing to arrest him, for “trying to undermine the secular system.” He now lives in Saylorsburg, Pennsylvania, in the Poconos, and has emerged as the leader of one of the world’s most important Islamic orders, surpassed only by the Muslim Brotherhood in its reach and influence. His public message, in the books and glossy pamphlets his acolytes distribute, is almost entirely apolitical, but his critics suspect that his ambitions are deeply political. Gülen’s followers operate a network of schools in a hundred and thirty countries. They also run a network of for-profit college-prep courses, which some Turks say earns tens of millions of dollars in annual revenue. (A prominent Gülenist in Turkey told me that the courses were not that profitable.) Turkish businessmen donate money to build Gülenist schools in countries whose markets they are trying to enter, and the schools serve as beachheads of good will. According to the movement’s followers, Turkish businessmen who are Gülenists often make deals with one another, sometimes in Turkey, sometimes in faraway lands that have nonexistent or weak governments. In person, Gülenists often come across as amalgams of Dale Carnegie and Christian missionaries: clean-cut, polite, and relentlessly cheerful. In Turkey, Gülen’s followers own the newspaper Zaman and the TV channel Samanyolu, which editorialize on behalf of the A.K. Party and the Ergenekon prosecutions. (While Erdoğan himself is not believed to be a Gülenist, President Gül is said to be one, as are several other senior members of the government.) Gülen is thought to have between two and three million followers in Turkey, including as many as sixty members of parliament—about ten per cent of the total. Gülen has cultivated some powerful friends in the United States. When U.S. officials were trying to expel him to face criminal charges in Turkey, he was able to call on Graham Fuller, a former senior official in the C.I.A., to help him remain. When he applied for permanent residency, Morton Abramowitz, another former Ambassador to Turkey, wrote a letter on his behalf. Fuller’s relationship with Gülen, in particular, has prompted conspiracy theories in Turkey about the C.I.A.’s involvement in Gülen’s rise. (Abramowitz also teamed up with neo-con Eric S. Edelman, another Jewish former US ambassador to Turkey, to rise to Gülen's defense in 2014 in a Washington Post op-ed). In 2013, The Economist also took note of a possible Israeli dimension in the Gülen-Erdoğan split: "A source of enduring speculation is why Mr Erdogan has chosen this moment to go after the Gulenists. The most likely answer is that Mr Erdogan wanted them to show their hand well before the presidential elections. An increasingly paranoid prime minister is said to believe that a 'Gulen-Israel axis' is bent on unseating him. His suspicions were fuelled by Mr Gulen’s very public criticism of Turkey’s rupture with Israel in 2010." [Efrat] Aviv, who teaches at Bar-Ilan’s Middle Eastern studies department and is a fellow at the Begin-Sadat Center for Strategic Studies, has done extensive research into the moderate Islamic Gülen movement and its connection to Israel and the global Jewish community. In an article she published in Turkish Policy Quarterly six years ago, she researched Fethullah Gülen’s interfaith outreach, which included meetings with several Jewish groups both in Turkey and the US. “Gülen sees great importance in disseminating tolerance because of the fact that the world is a global village, and it is imperative to lay the foundation for communication without making distinctions between Christians, Jews, Atheists or Buddhists,” she wrote. In the late 1990s, the reclusive imam met at least twice with senior delegations from the Anti-Defamation League, which at the time was headed by Abraham Foxman, according to Aviv. Jacobson’s second meeting with Gülen took place in 1998 at Gülen’s initiative — and at his Istanbul residence — and was also attended by then-chairman of the Conference of Presidents of Major American Jewish Organizations Leon Levy, Aviv writes. In 1998, Gülen met with Israel’s Sephardic chief rabbi Eliyahu Bakshi Doron in Istanbul, a televised visit that came about at the initiative of the cultural attaché in the Israeli consulate. “This was the first time that a chief rabbi came on an official visit from Israel to Turkey, and the second visit of a chief rabbi in a Muslim country,” according to Aviv. Israel’s consul-general to Istanbul at the time, Eli Shaked, participated in the meeting. “The Israeli Foreign Ministry thought that a meeting with Gülen could help quell the hatred and resistance to Israel and/or Jews, and therefore they authorized it,” Aviv wrote. He also recognizes Israel, enough to have distanced himself from Erdogan’s position on Gaza and the flotilla ... I believe Israel owes a debt of gratitude to a principled Muslim voice that recognized its sovereignty, at severe cost. Given Fethullah Gülen's pro-Israel bona fides is it any wonder that his star seems to be rising in the West and the New York Times has given him a platform for him to profess his innocence and to critique Erdoğan as "an autocrat who is turning a failed putsch into a slow-motion coup of his own against constitutional government"? You can read Gülen's 2010 remarks on the Mavi Marmara massacre in the Wall Street Journal. P.S. Gülen also likes Hillary Clinton. 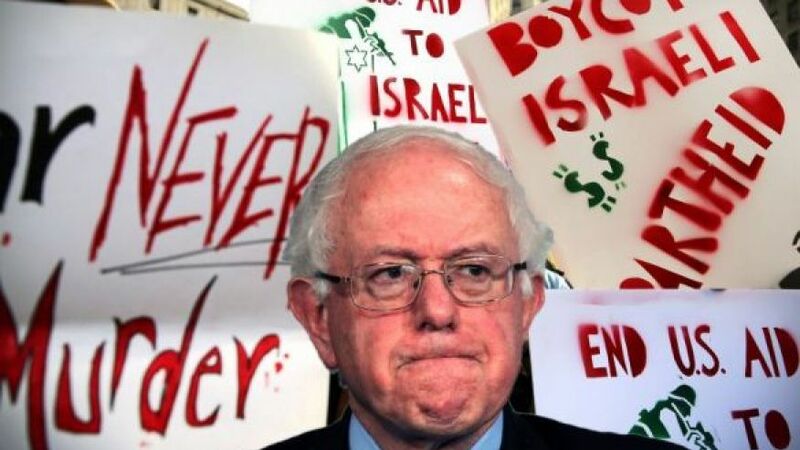 Bernie Sanders is no longer running for president but he still continues to inspire false hope in some folks on the matter of Palestine-Israel. 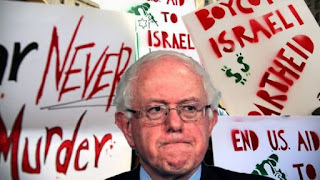 Sanders' retrograde positions on Palestine-Israel should not be surprising. He is, after all, an old kibbutznik. Like Noam Chomsky, Sanders was involved with the Stalinist Hashomer Hatzair. The Hashomer Hatzair was also "active in the Haganah, the underground army of the Jewish community in Palestine. Together with the other kibbutz federations, its members formed the nucleus of the Palmach, which served as the shock troops in the war for Israel's independence." Sanders and his wife worked at the Jews-only Kibbutz Sha'ar Ha'amakim near Haifa. Kibbutz Sha'ar Ha'amakim was built on land inhabited by Palestinians for generations but Zionist Jews made a deal with the infamous Sursuk family, absentee landlords in Beirut, to sell the land out from under the fellaheen. Sanders has also aligned himself with a rabid religious Zionist, the late Rabbi Menachem Mendel Schneerson, and his Chabad movement. According to Israel Shahak and Norton Mezvinsky, Baruch Goldstein, perpetrator of the 1994 Hebron massacre was also affiliated with Chabad (see page 61 and chap. 6 in Jewish Fundamentalism in Israel (2004)). Chabad is also known for erecting giant menorahs on public property during Hanukkah and Sanders helped out with that, too. In County of Allegheny v. American Civil Liberties Union , the case Sanders helped advance, the US Supreme Court decided that a nativity scene had to go but a menorah was okay. The foundations of Sanders' socialism (and Jewish identity) are troubling to say the least. If Sanders had publicly and fully repudiated his ties to Stalinism, the violent, Jewish supremacist Hashomer Hatzair/kibbutz movement, and Schneerson and Chabad or at least denounced their most problematic aspects then that would one thing. As far as I know Sanders has done nothing of the sort.